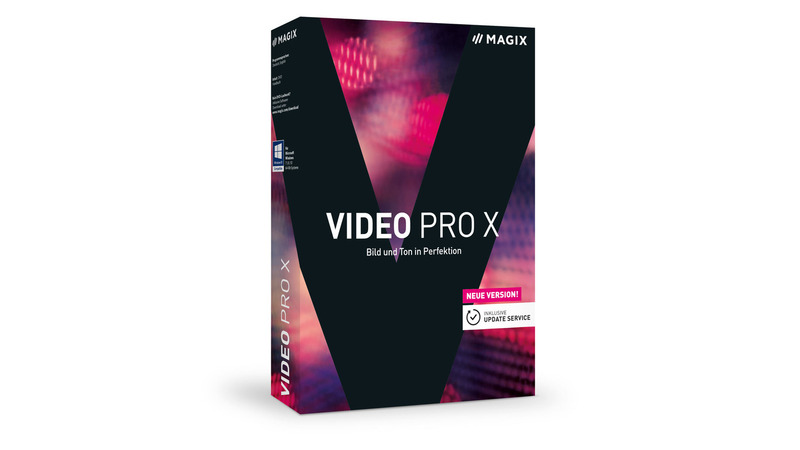 MAGIX Video Pro X is a unique editing software for intuitive and powerful video production. 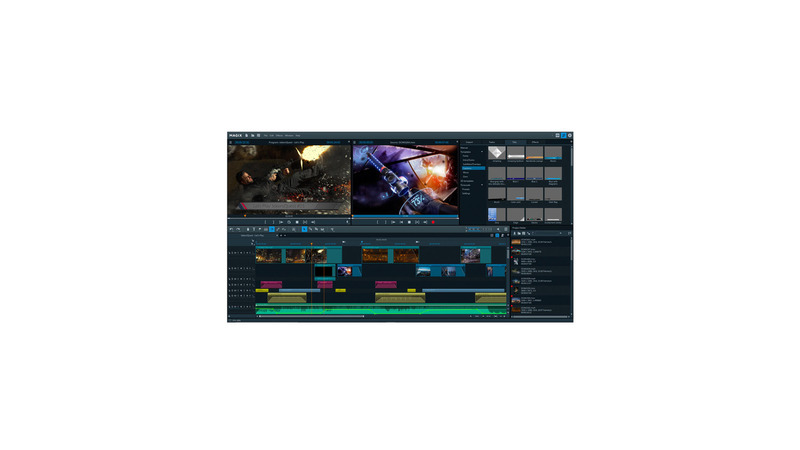 This multiaward-winning video editing suite is geared towards the unique requirements of professional users and offers an unrivaled range of powerful post-production tools for color grading, audio processing, effect design and authoring. 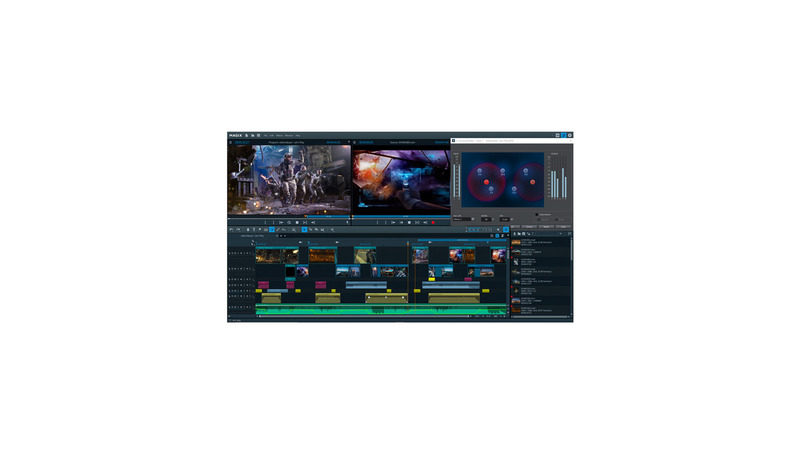 Scaleable proxy editing, preview rendering and hardware acceleration guarantee realtime video editing in HD, 4K and 360 degree. 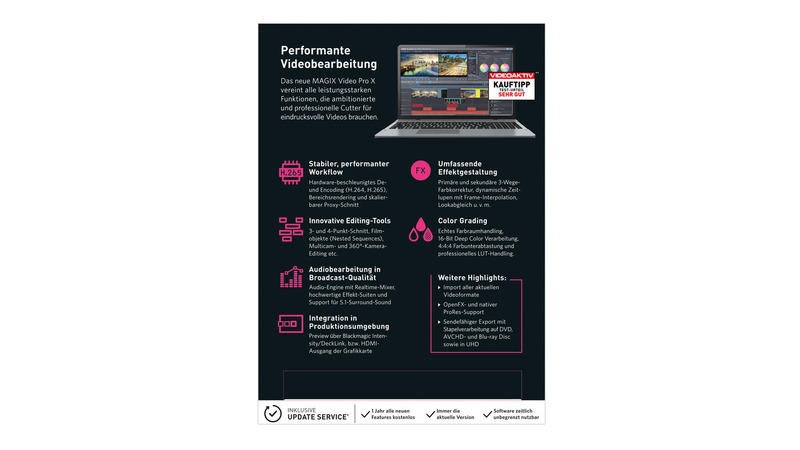 Using lookup tables, you can quickly and professionally change color and tone values of video material. 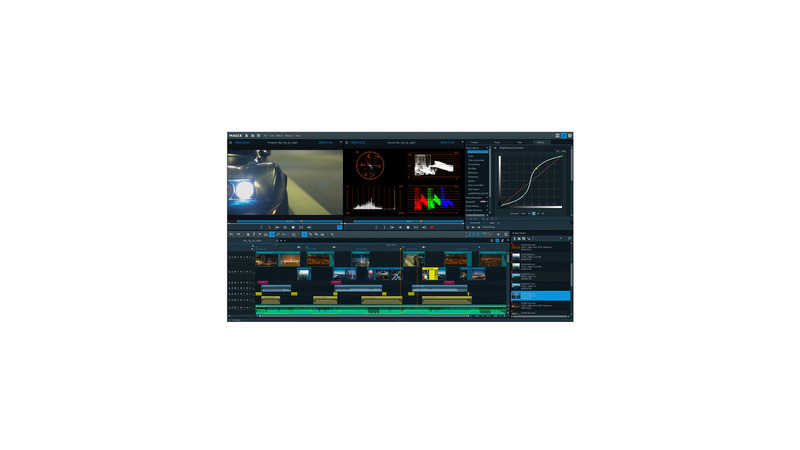 True colorspace handling and 16-bit deep color support guarantee color-true processing for the entire workflow. The built-in Audio Mastering Suite with 5.1 Surround Sound & EDL transfer guarantees broadcast-quality results at the highest level.